Check attendance per closed session and evaluate students under ”Report”. Select each session and check class history in detail. 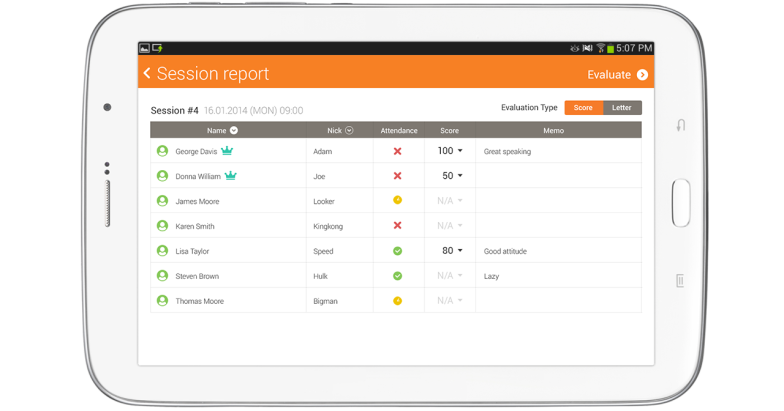 Select “Evaluate” button under “Session report” to evaluate students in the session. Check received badge history, change attendance, record score(s), make memo(s) for each student under “Evaluate”. 1. 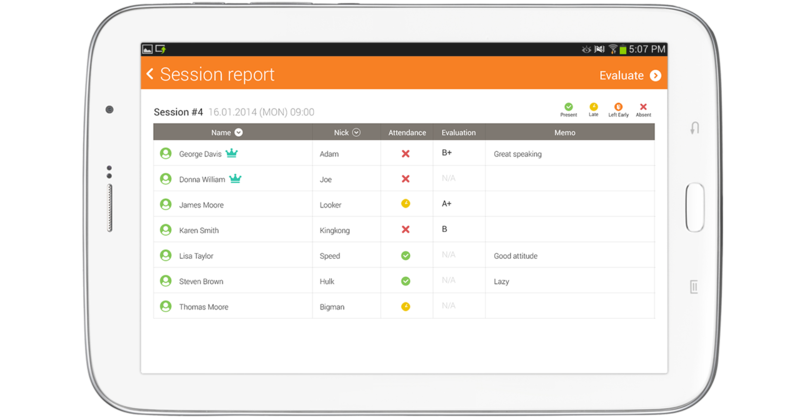 Select a session under “Class Management” > “Report”. 2. 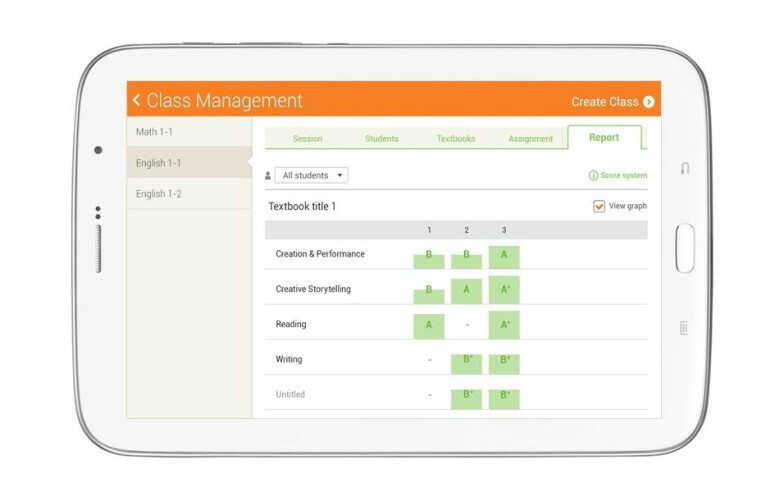 Select a session under “Class Management” > “Session” > “Evaluate”. Score : Score by number. Letter : Score by alphabet and +/-. 4. Select score section of each student and evaluate or change attendance in the pop-up. Attendance : Change attendance by selecting among “Present”, “Late”, “Left Early” and “Absent”. Score : Enter directly or select the scope among the presented options . Memo : Enter reminders from the class. Tip : If the student received any badge(s), total received badges can be checked in the evaluation pop-up. 5. Select “Save” to apply the evaluation. Tip : Select “Save & Next” to evaluate the next student without closing current pop-up.